The Smugglers Cove in Liverpool has been named 'Spirits Pub of the Year' in the Great British Pub Awards. A focus on rum and an enhanced drinking experience has helped land a Liverpool venue a top industry award. 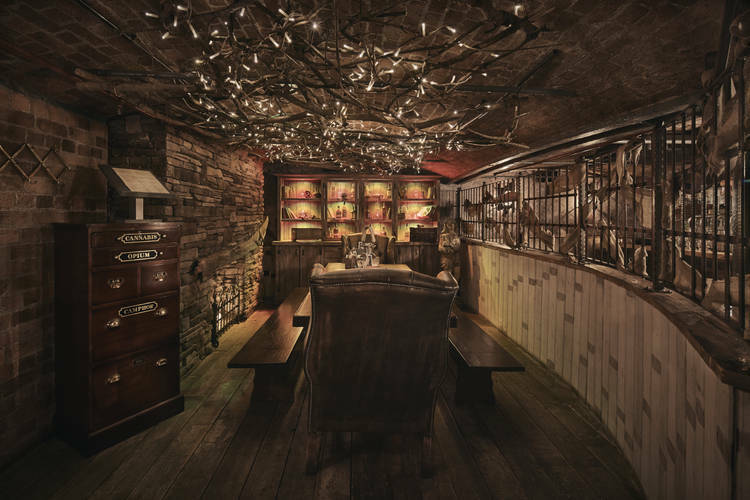 The Smugglers Cove, based on the Albert Dock, has taken home the title of Spirits Pub of the Year in the Great British Pub Awards. The pub, part of the New World Trading Company, fought off strong competition to take the title at a glittering awards ceremony in London on 10 September. Judges were impressed with its first rate theming and its Guinness World Record holding range of rums. Ed Bedington, editor of the Publican’s Morning Advertiser, which organises the awards, said: “With its low, vaulted ceilings and dark and intimate interior, you know you’re about to experience something special when you step out of the bustling tourist crowds of the Albert Dock and into Smugglers Cove. The Great British Pub Awards celebrate excellence throughout the UK’s pub trade, with hundreds of entries received from across the country, and judged by a team of industry experts.